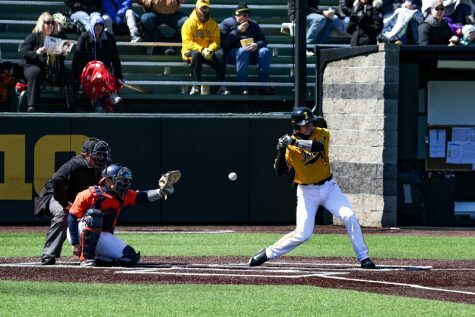 With the season-opener just around the corner, Iowa baseball's quest to find its go-to closer begins. 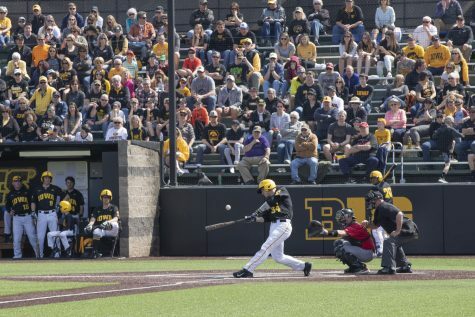 Iowa's Ben Probst pitches during the Iowa/Southeastern Community College baseball game at Duane Banks Field on Thursday, Sept. 20, 2018. 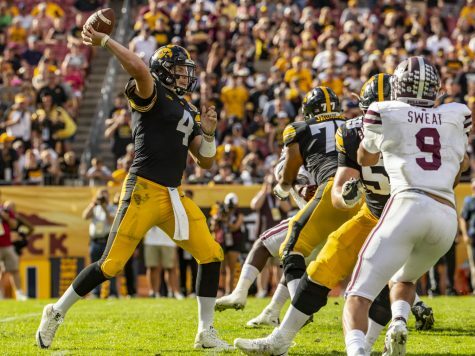 The Hawkeyes defeated the Blackhawks, 23-5. 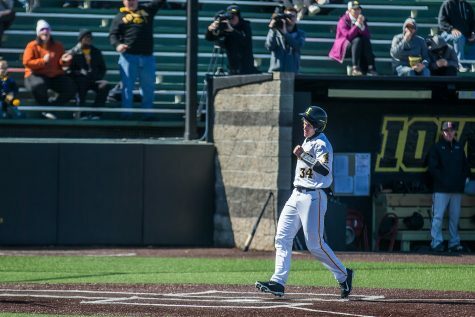 With Iowa baseball’s season-opener on Friday, the Hawkeyes have their three starting pitchers narrowed down: Cole McDonald for Friday, Jack Dreyer for Saturday, and Grant Judkins for Sunday. What head coach Rick Heller doesn’t have, though, is a go-to closer on the mound. But he’s got plenty of choices. 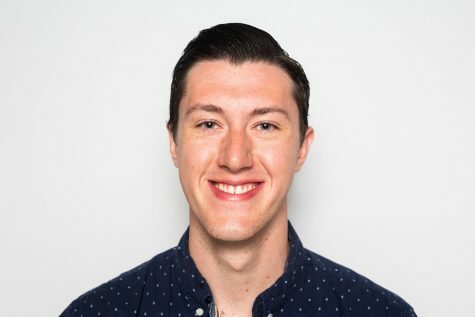 “This will be the first time in a while that we don’t have an experienced guy at the back end of the game, but I really feel like we’ve got some good options,” Heller said. 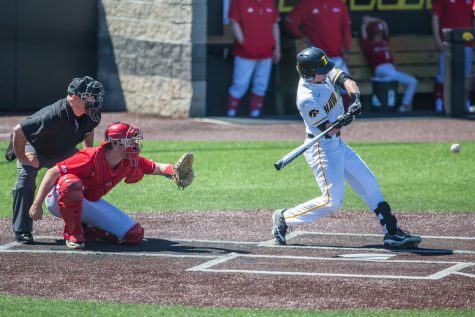 During baseball’s media day, Heller listed five names of players he thought could find their way into that spot: Trace Hoffman, Jason Foster, Grant Leonard, Ben Probst, and Kyle Shimp. 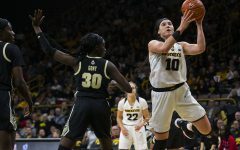 Hoffman transferred to the Hawkeye program this offseason from Southeastern Community College. He comes in after leading the country with 13 saves during his sophomore season. During his sophomore season, he finished with a 3-3 record and a 2.60 ERA in 34.2 innings pitched. The season prior, the Cascade native had 13 saves, ranking second in the nation. He had a 2.00 ERA. 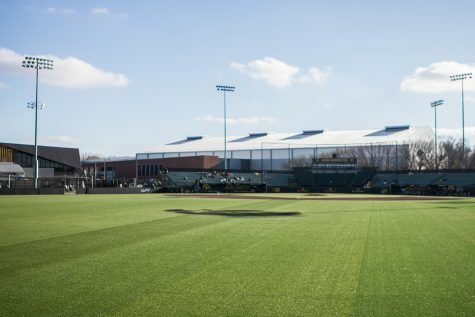 Foster, a redshirt senior from Wright State, enters the program with three seasons of in-game experience under his belt (he redshirted his sophomore season with the Raiders). The Grove City, Ohio, native had 39 appearances at the mound in which he recorded a 3.40 ERA and held opposing hitters to a .236 batting average. Last season, he notched 21 strikeouts and a 3.02 ERA. Foster earned second team All-Horizon League honors during his redshirt sophomore season with Wright State. Last season, Leonard finished with a 2-1 record, appeared in 21 games, finished with a pair of saves, and had a 4.64 ERA. 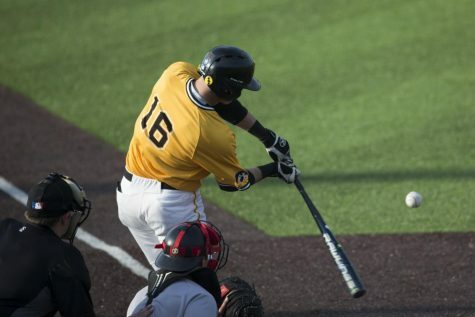 “Grant has really improved on some of his pitches, and he had a good year for us last season,” Heller said. Leonard gave up 29 hits during his 21.1 innings. He tallied 23 strikeouts as well. What Leonard has working for him is his familiarity in the system. 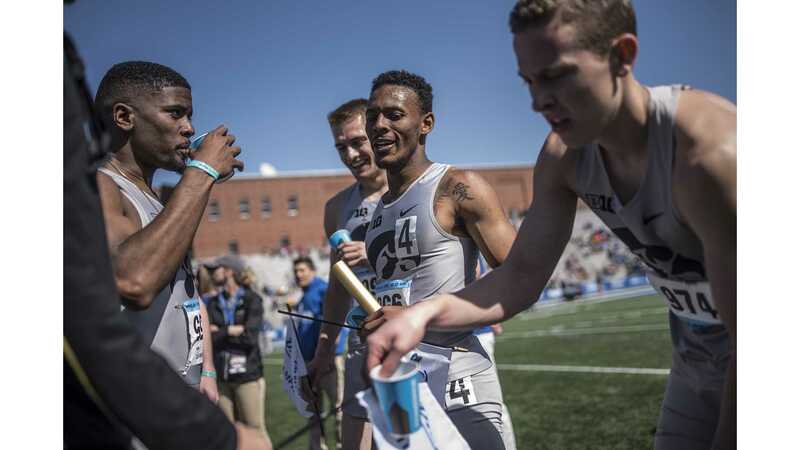 Now in his third year with the Hawkeyes, Leonard has shown the ability to win in the clutch. 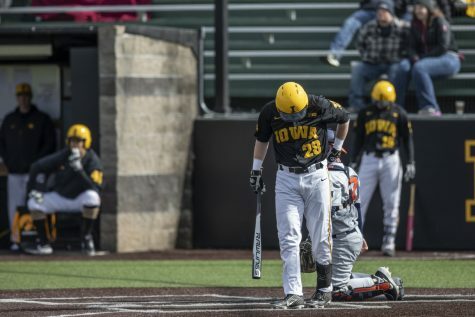 The Mokena, Illinois, native threw a perfect ninth inning on the road against No. 22 Illinois on March 30, 2018, to earn his first save. Probst and Shimp aren’t traditional closers for Iowa, but they could be used in the scenario should Heller elect to do so. “Then we could go completely different direction as things shake out if we choose to with Probst … and Shimp,” Heller said. 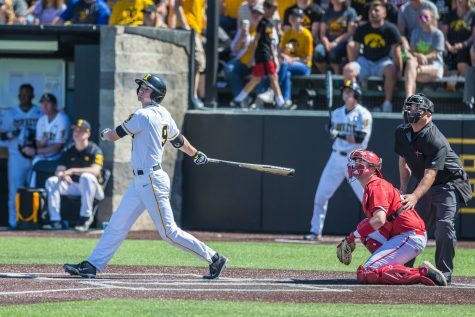 Last season, the Urbandale native appeared in 16 games. 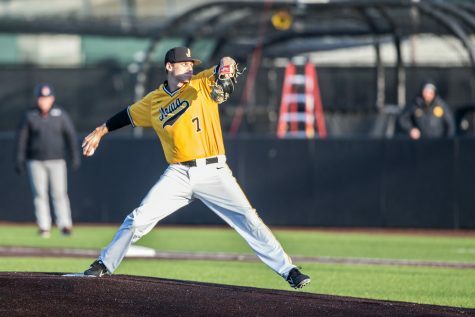 Probst finished with a 4.35 ERA, a 1-0 record, and 21 strikeouts in his 20.2 innings pitched. 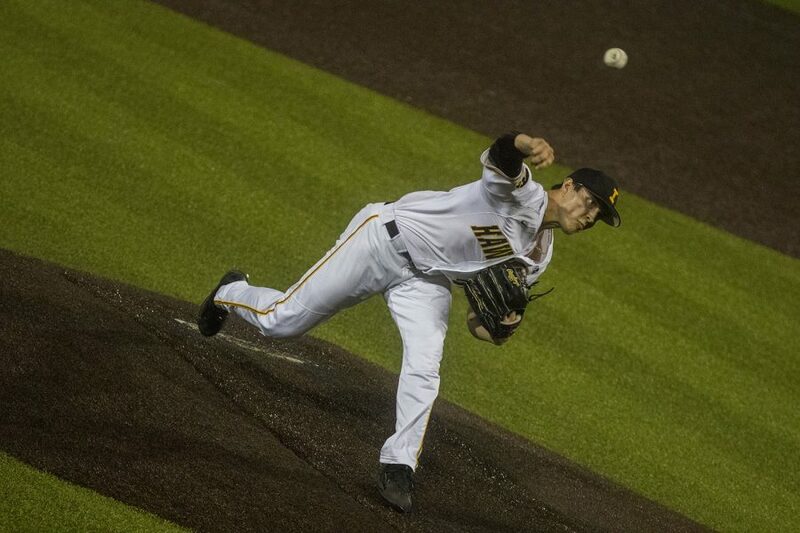 Shimp had a rocky sophomore season, finishing with a 10.24 ERA in nine games. He also suffered an injury that kept him out for the last two months of the season. 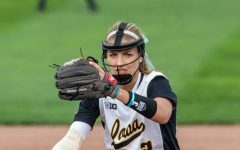 Heller said Schimp struggled with confidence in the strike zone when healthy last season, but a promising offseason has the coach ready for a fresh start. Schimp has proven before that he can be effective. As a freshman, he finished with a 5-1 record and a 3.18 ERA. He appeared in 18 games and allowed just 18 hits while striking out 26 batters. “Sky’s the limit for Kyle,” Heller said.